I live in Charleston, SC. Early spring is the time when soft shell crabs are available for just a few weeks. Blue crabs slough their hard shell, expand their bodies to grow, and then regrow another hard shell. Soft shell crabs are that in-between time before the shell hardens again. They are a delicacy. 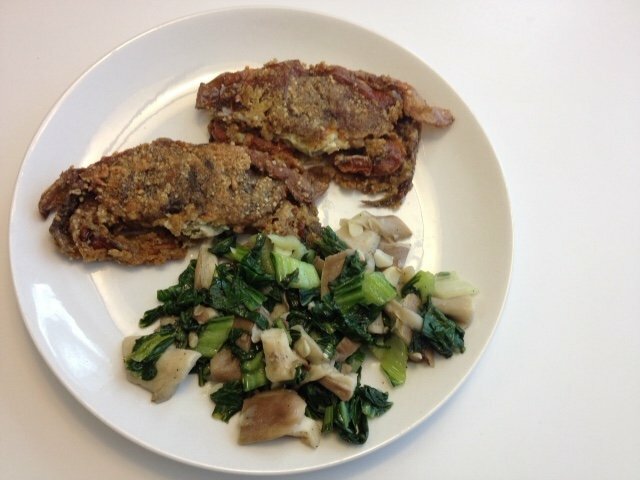 So, here is my Paleo recipe for this delicious food from the sea. I plated them with sautéed bok choy, oyster mushrooms, and chopped garlic.